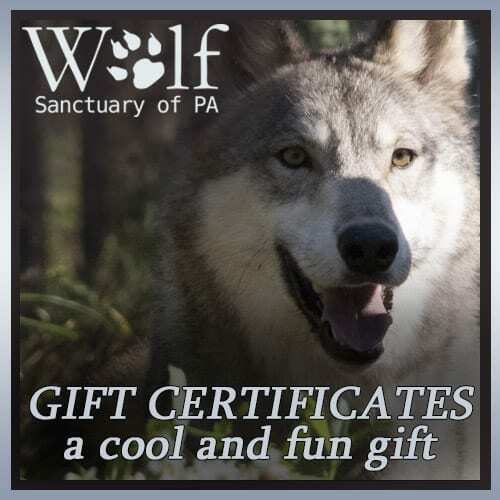 Purchase a gift certificate from the Wolf Sanctuary PA! 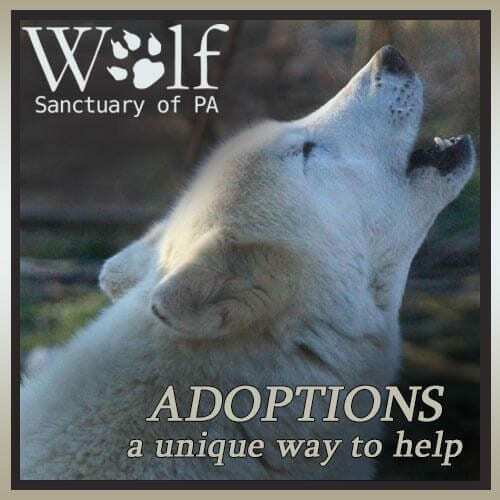 Gift certificates from Wolf Sanctuary of PA are a big help! 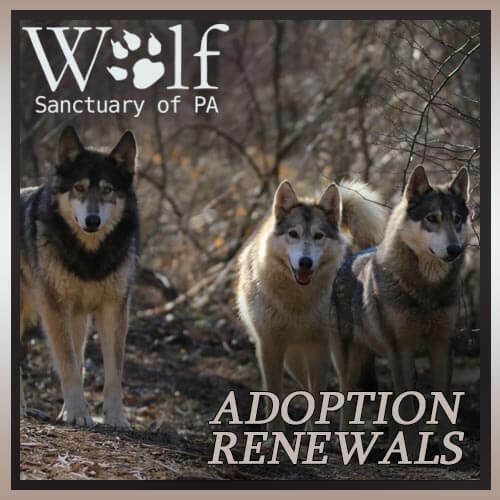 Recipients can use their certificate for any items at the Sanctuary including: tours, adoption packages, memberships, and gift store merchandise.